What happens to an old car if you leave it outside? Of course, it will get dirty, and mice might begin to live in it. However, something special happens to the metal parts of the car. They begin to change. First, they change color and become orange or brown. The metal is turning into rust. Then, the metal parts get soft. And eventually, this old metal will break into small pieces. It became rusty and old. In English, we also use the word rusty to talk about a person who used to do something really well but cannot do it this well anymore. When a person becomes rusty, they stop practicing. For example, a musician who doesn’t play their instrument cannot play a beautiful song right away. 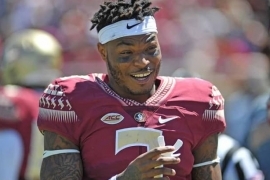 US football player Derwin James was hurt a few years ago. After his injury, he was really rusty. He was too hurt to practice playing football. The good news is that he is much better now! Are any of your skills rusty? What do you do so you don’t become rusty at your favorite activities? unable to play or perform well for being out of practice for a long time. i havnt gone to the gym since 2015, so i try not to get rusty by going to short walks and working out at home. 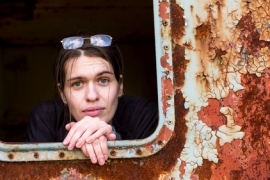 although i am an English tutor, i feel like I have become a little rusty in memorizing vocabulary, especially this word “RUSTY” which i used to know its meaning but now…. and i was wondering if i could use the verb “become ” with the word, now that i researched in dictionary i realized that i could. I started again my workout, because i leaved four months ago, I felt to rusty.